Live handball returns to our legal internet streams again this weekend with the final three games of Matchday 1 of the Main Round of the EHF Women’s Champions League. This is where the competition gets properly serious and there’s a lot to look forward to. Saturday sees what is probably the Match of the Week as Györi Audi play host to Buducnost in a rerun of last season’s final. Buducnost have not travelled particularly well on their Champions League travels this year losing to both Thueringer and Zvezda Zvenigorod in the previous group round. Györi qualified from the group with six wins from six and in Anita Görbicz have the poster girl for the women’s Champions League (at least as far as every EHF advert ever produced is concerned). You’d probably back Györi today but without going too far out on a limb there’s a reasonable chance that as well as their return fixture these two will meet again in the knock out stages – although Larvik, who won last week, may disagree. Sunday in Group 2 sees, happily enough, two matches. at 2pm UK it’s the Russians of Zvezda Zvenigorod against the Slovenians of Krim Ljubljana. Ljubljana needed a last-match win to come through the previous grouop stage whereas their opponents, who had to come through a qualifying tournament to reach the Champions League won five matches for an easy progression. Let’s assume that at home they will do so again. The second group 2 match is between CS Oltchim Râmnicu Vâlcea (that’s easy for you to say, etc etc) and the team that the EHF and the listings call FTC-Rail Cargo Hungaria but that wikipedia wants to call Ferencvárosi. Either way, both these teams have pedigree: the Hungarians are twice Champions League finalists and current EHF Cup Winners Cup holders; the Romanians are likewise previous finalists and have also won their domestic title eighteen times in the past twenty-four years. The hosts will have to do without Cristina Neagu, the world’s best player in 2010, who following a return in the autumn from a 20-month lay-off has now torn her ACL and will play no more this season. As for who will win today: CS Oltchim Râmnicu Vâlcea are so far unbeaten in the Champions League and “FTC-Rail Cargo Hungaria” dropped only the match away to Larvik, and that was after they’d qualified. Which means I haven’t a clue but it should be close. Links to all the matches – as well as some in the EHF Cup and other tournaments – can be found here. Tomorrow sees the return of the EHF Women’s Champions League with the first match of the main round. The ‘Main Round’ is the second group stage of the competition wherein the eight remaining teams slug it out for the semi final spots. This weekend, oddly(*), sees only the one match but it could be a good one: the Scandinavian ‘derby’ between the Norwegians of Larvik and the Danes of Randers. Randers finished second in their group with a three wins, three losses record and were dependent on a final game victory over Hypo Niederoesterreich to progress. Larvik were Champions League winners in 2011 but were overwhelmed by winners Buducnost in the semi finals last year. The bookies make Larvik 1/8 favourites and in their two previous Champions League meetings (in 2010) they were indeed comfortable winners. But if for no other reason than it’s good both to have the Champions League back and handball available in the UK via decent streams let’s hang on to the idea that it might be a bit closer than all that suggests. You can see it here from 4.15pm. And read a proper preview here. (* = It’s because the Larvik arena is double-booked next weekend). We’ve set out the permutations as we understand them for today’s games here so all that remains to do is get the crysal ball out and undertake a final day’s group-stage predicting. Group I is where the drama will be as, unlike Group II, there’s still a semi final berth available. First up though at 3.10pm UK is Sweden v Czech Republic. The Czechs have battled hard in every game and with a bit of good fortune might have collected some more points since their opening day win against Ukraine but I expect Sweden will want to go out on a high and am backing them today. Then, at 5.10pm it’s Serbia v France. It’s only really for Serb matches that the arena has been anything like full and I imagine there will be a lot of home town support in again. Ordinarily, I’d say France as they have the pedigree and also, on paper, the better team but they’ve underperformed whereas Serbia have played to their strengths (albeit having taken part in numerous see-saw matches). I’ll be going for a Serb win here – which renders the next match redundant. The next match is at 7.10pm. Denmark are the tournament’s top scorers and have called up Laerke Moller (129 goals in 44 matches) so are presumably thinking that adding firepower is the way to go. Their defence will need to improve though and also cutting out the errors that has cost them in pressure situations. Assuming the match still counts it will be interesting to see how Norway go about the match – and it may be their attitude that has the most significant bearing on the score. On balance, I think Denmark will win, I just think it will be too late for them. Over in the already-decided Group II I imagine Spain will want to go out in style against Montenegro (3.10pm) and they may just win and show everybody what they should have been doing the whole time; Romania and Germany (5.10pm) I expect to be entertaining and end in a German win (again, showing what they’ve got too late in the day); and, finally, I expect Hungary against Russia to be brutal but go with form, so a win for Hungary and recriminations for Russia. So … Norway are through to the semi finals. They’ve wobbled a bit but it’s never been in doubt. There isn’t any other team in the competition that has their consistency or their annoyingly strong mix of goalkeeping, defence, break-speed, attacking options and shooting power. Also through are Montenegro who, on their day, should be able to beat Norway but who managed to lose to Germany and Hungary, another side who should be able to take the game to Norway, but who have yet to dominate their matches in quite the same way. If Denmark lose to Norway, they are out and either Serbia or France will qualify. If Denmark draw with Norway, they are out and either Serbia or France will qualify. If Denmark beat Norway, they will go through if France beat Serbia. If Serbia beat France they will go through. If Serbia and France draw then Serbia will go through. If France beat Serbia and Norway beat Denmark then France will go through. If France beat Serbia and Denmark beat Norway then Denmark will go through. I’d put your house (silly to bet my own house) on Serbia. I’ll have match times and woefully inaccurate predictions for the matches tomorrow. Looking over Group I, and it’s a big day for Serbia, Denmark and France. They all need to win and hope the others lose. Denmark are more in control with 4 points and they face a Serbia who will be bouyed by the home crowd but bruised by their inability to take all the points against Sweden. France will hope to move themselves up to 4 points with a win over already-out Czech Republic and there’s no real reason to expect them not to. Sweden play Norway in the day’s first game. I wouldn’t be too surprised to see an ‘upset’ Swede win here but Norway have played with steel in every match so far and they may not relax until qualification is actually confirmed. Over in Group II and, similarly, everything could clearer are waters everywhere could become muddied. The strong Montenegro side are unbeaten and topn the group with 6 points. They face Germany who have had a heartbreaking tournament today. One almost hopes for a German win to restore pride but I really can’t see past another comfortable Montenegro performance. Spain and Russia face each other in a must-win game for both teams – and if they don’t win then they will have to face up to how disappointing this tournament has become for them. It’s the final match which really whets the appetite though as Romania and Hungary do battle – and the winner will have sole ownership of second spot in the table and be favourites for the semi-finals. Regardless of the results everyone gets the day off tomorrow – the Main Round concludes with six more games on Thursday. We knew Norway were good. We knew they were more than capable of solid defence, strong attack and fighting back. And now they’ve gone and beaten France so comfortably it makes you wonder how some bookies had them as favourites. The final score was 30:19 – France scoring only 9 in the second half. Norway’s win was built on its trademark solidity, goalkeeper Katrine Haraldsen was in fine form, and backed up by seven goals from Linn Sulland and five from Linn-Kristin Koren. France tried hard for long stretches but could never get close enough. Barring something odd, Norway can now cruise to the semi final stage – France will presumably beat the Czech Republic but then face Serbia in the last match. Behind Norway, things are a lot less clear over who will claim the other semi final spot. Serbia looked to be about to move into pole-position as they led Sweden 23:18 with 7 minutes to go but three goals from Linnea Torstenson and two from Ulrika Agren meant the match finished level at 23:23. Sweden had had their own five goal lead in the first half but this probably feels more like an opportunity missed for the Serbs. The Czech Republic can be definite about their future in the tournament. They can’t qualify for the semi finals after a 33:30 loss to Denmark. They more than held their own but after falling two goals behind with quarter of an hour to go were never able to bridge the gap. 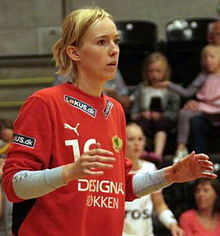 Denmark were thankful to 10 goals from Ann Grete Norgaard and 20 saves from Sandra Toft. The Czechs actually had more shots in the match and are probably kicking themselves this morning. After the first day’s Main Round action it is Montengro who are sitting pretty atop Group I. The Olympic silver-medallists looked to have done enough early on against Hungary to have a comfortable second half – leading 15:10 at the interval. But by the 50th minute the scores were level at 22:22 and it took two late goals from Katarina Bulatovic to give Montenegro the points with a 28:26 victory. A clear margin of victory was what Romania enjoyed, somewhat surprisingly, against Spain. At one point the Romanians had a ten-point lead before they relaxed a bit – it finished 31:26. Spain’s biggest enemy seemed to be wayward shooting whereas Romania could call on seven goals apiece from Iulia Curea and Cristina Neagu. The result leaves Spain in a difficult position if they want to reach the semi finals – Romania will be looking for momentum. The final match ended in a draw, which probably pleases no one but is a particular kicker for Germany who should have put the match away after building an early five goal lead. As it was, a frantic final minute in which both teams had potentially match-winning shots blocked, means both can claim either a point won or lost depending on mood. What it does mean is that neither is likely to progress to the semi final stages without something miraculous happening. In today’s games the Czech Republic need to get something against Denmark if they are to have any hope of the semi finals, Norway and France renew their rivalry, and Serbia and Sweden will both be marking this as a must win game. 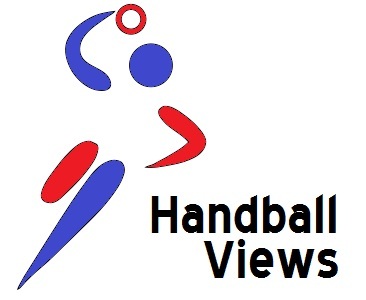 Handball Views is going for wins for Denmark, Norway and Serbia. It all starts at 3.10pm UK, live on YouTube.